Use the OFIS-Y client with existing 32-bit and 64-bit Windows-based solutions as a higher level of security login instead of merely passwords which are less reliable. The program face of the OFIS-Y software uses Active X, enabling an easy integration of FingerTec with a third party system. 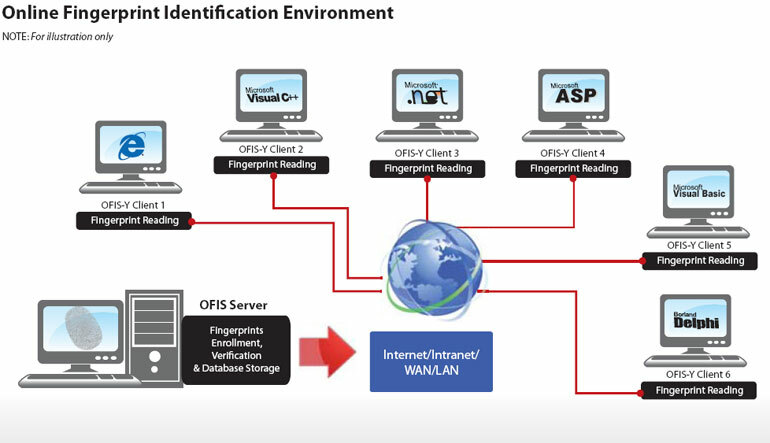 With the OFIS Server, you get 6 OFIS-Y clients for you to set up your own application, integrating fingerprint solutions for either security control, or for an online attendance solution. 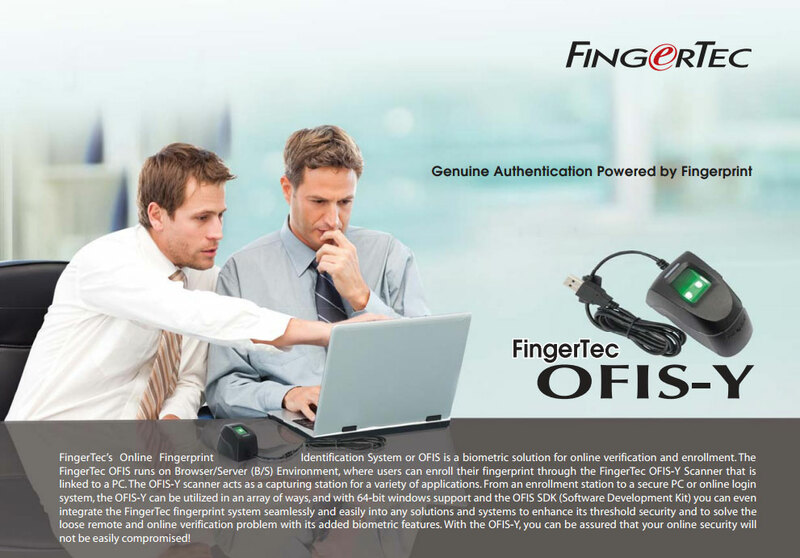 The OFIS-Y reader uses minutiae matching technology with the latest VX10.0 algorithm instead of fingerprint image scanning, ensuring that important fingerprint information cannot be stolen and duplicated. OFIS SDK supports the common programming languages such as VB, MS VC++, Delphi, MS ASP, VB.NET, ASP and etc, and comes with several written sample applications. The OFIS-Y reader is small and portable, much like a desktop mouse which means no more clutter and no more hassle!